Shawn Miller (Delaware Valley / Sr., DB / Laurel, Del.) came up with one of the biggest plays early on of No. 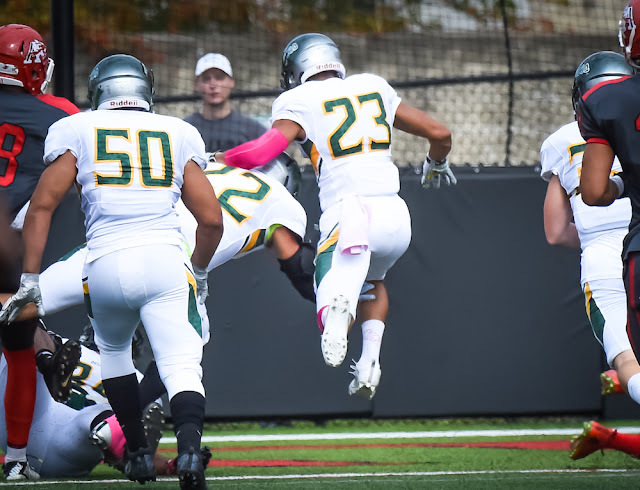 7 Delaware Valley’s 41-6 road win at previous unbeaten No. 24 Albright. Miller blocked a punt that was returned for a touchdown. The touchdown gave the Aggies a 20-0 lead late in the first half. Miller added seven tackles (two on special teams) in the win.